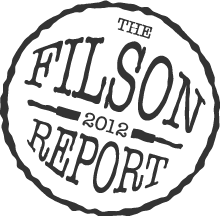 Thanks for your thoughts on all the Filson bags! What are your impressions of the Rugged Twill Bucket Bag? 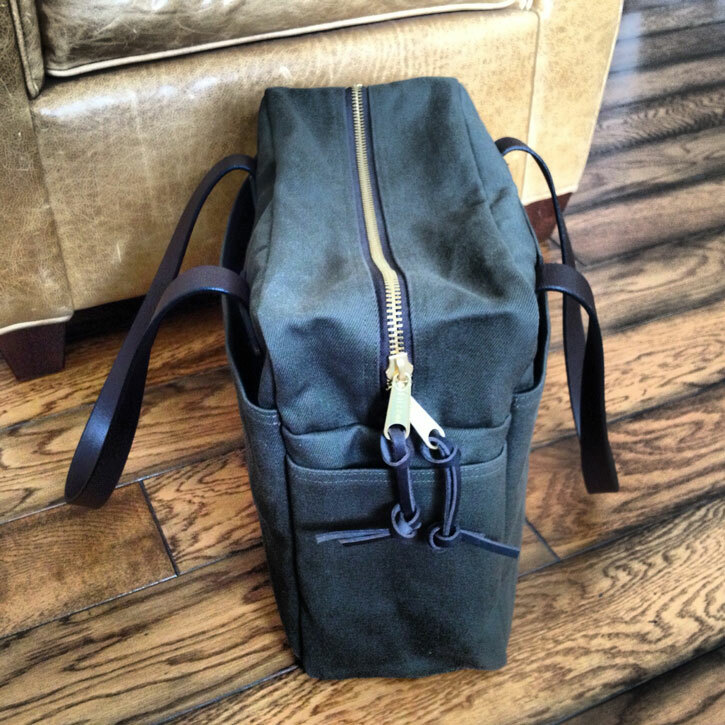 It’s on sale on Filson site and seems like a great alternative to other totes. Have you had experience with that model? Hello, Ray…thanks for visiting the site. I have had the opportunity to play with the bucket bag on a few occasions and at the current sale price of $99 it is a great value. The things I really like about it are the full leather bottom, the overall shape and the versatility of the bag. My favorite tote is still the 261 Zipper Tote because I like the boxier form factor; however, the bucket bag is a great choice. Just be aware that it is slightly wider and will sit a bit further from your body when it is carried over the shoulder. I have the bag (got it for about $60 believe it or not) but what annoyed me a little bit was not having a shoulder strap. It gets tiring if you travel with it which I do quite a bit. What I ended up doing actually was having one fitted, hooks and all. I still need to get a nice vegetable tanned strap but it´s finally usable for all situations now. One question though. What´s your thought on waxing the bag (mine´s navy blue)? Congratulations on your new Filson tote…it sounds like you got a great deal on it. I have never really found the lack of a shoulder strap to be a problem because the shoulder drop is just long enough on the handles for me to carry the bag that way. However, it sounds like you have found a very creative solution by adding a shoulder strap. I would love to see some pics of your modification! As far as waxing is concerned, I don’t really think it is necessary and I typically don’t recommend it. The treatment from the factory is more than up to the task of daily use and I find that home wax treatments significantly alter the appearance of the bag. I would say just use the bag and allow it to develop its own unique patina over time. Hi Kevin, thanks for the comment and for visiting the site. I plan to do an photo update of my current collection very soon. As for the 261 Zipper Tote in Otter Green, I use it at least once per week and it still looks brand new; these bags wear incredibly well. I wish I could post some pics of an deep, well-worn patina, but I am starting to come to terms with the fact that that type of patina may take a decade or two to fully develop. That is part of what makes these bags so special. They slowly, but surely become a part of your daily life. Stay tuned for the update!